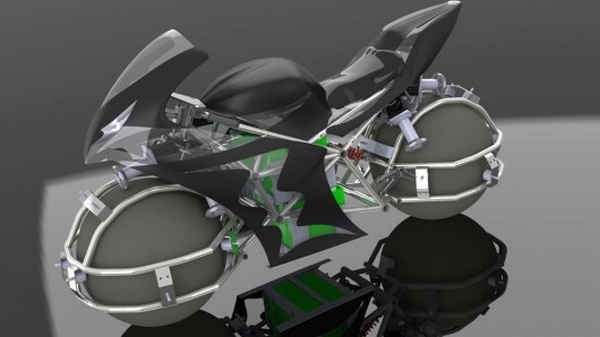 Students Working On Futuristic Looking Bike With Spherical Wheels | OhGizmo! You'd get ROTM and ROTY with that....hands down. Too bad it has a GSXR seat. That would be one cool experiance on track!